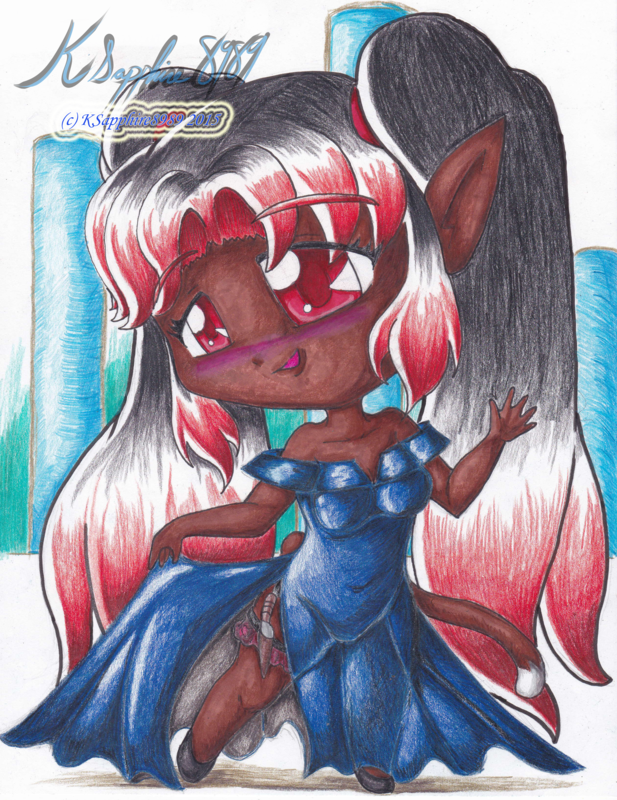 Artist's note: A lovely chibi night dress for Ki How. Yes, it seems she is the fashion Diva out of the two. (Besides I miss drawing my OCs.) But don't worry you will get to see Kitty more. However, I think its nice to see Ki How being she seems to get less screen time than her sister. Also, I guess you can say I'm trying to take some notes from my favorite chibi artist and still working on that to get better over all.